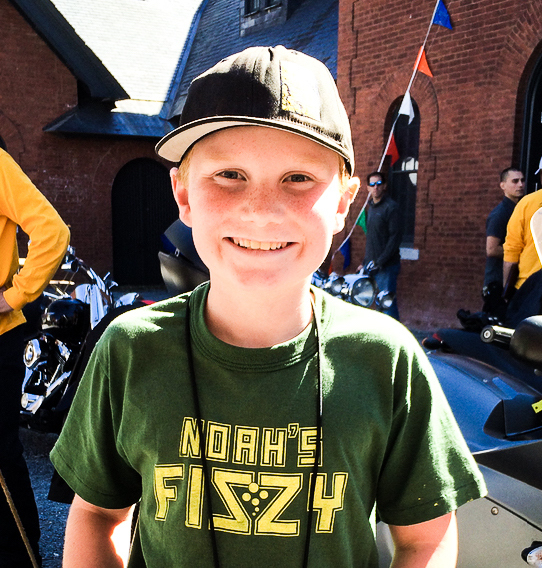 Noah’s Fizzy Maple Lemonade​ is a delicious, non-alcoholic all natural beverage dreamed up in 2011 by 7 year old Waitsfield, VT native Noah Schwartz. Noah’s Fizzy Maple Lemonade is made from 3 simple ingredients: lemons + pure VT maple syrup + water. Adding light carbonation to get its trademark “Fizz”, the result is a bubbly, refreshing elevation of a summer classic. Noah was a FreshTracks Capital Road Pitch competition winner in 2015 – at age 11. Update: Now on tap at Lawson’s Finest Liquids in Waitsfield, VT!